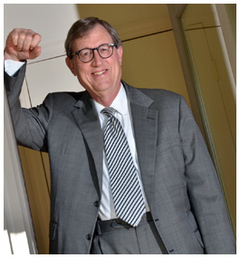 John Markel, with an extensive career as a CPA, is the principal analyst at Markel Valuation. For the past 20 years, John has specialized full-time in two overlapping areas: Business Valuation and Forensic (investigative) Accounting. He has earned the rare credentials of Accredited Senior Appraiser (ASA) and Accredited in Business Valuation (ABV) -- assuring you of quality work and detailed, in-depth analysis in his reports and expert witness testimony. CPA, (Certified Public Accountant): in North Carolina and South Carolina. ASA (Accredited Senior Appraiser): by the American Society of Appraisers. To earn and retain the ASA designation, successful candidates must (1) pass a comprehensive written examination; (2) get 10,000 hours of business valuation field experience; (3) pass a rigorous peer review of two business valuation reports; and (4) get specialized on-going continuing education on valuation topics. valuation experience requirement; (2) pass a comprehensive written examination; and (3) get specialized on-going continuing education on valuation topics. ABAR (Accredited in Business Appraisal Review) by the National Association of Valuators and Analysts.The ABAR designation is the valuation professions only credential certifying competence in the review of business appraisal reports. As such, the ABAR credential is especially designed for business valuators whose work involves the review of valuation reports and analysis performed by othersa select group that includes expert witnesses, attorneys, and government appraisers. CFF (Certified in Financial Forensics): by the American Institute of Certified Public Accountants. To earn and retain the CFF designation is limited to CPAs who specialize in assisting in the process of dispute resolution, especially in areas of economic damages, financial misrepresentation, and fraud detection. To earn and retain the CFF designation, successful candidates must (1) get 1,000 hours of field experience in providing accounting assistance in dispute resolution activities; (2) pass (or otherwise exempt from) a comprehensive written examination; and (3) get specialized on-going continuing education on financial forensics topics. CGMA (Chartered Global Management Accountant): by the American Institute of CPA's and the Chartered Institute of Management Accountants. The CGMA designation recognizes professionals who have a deep understanding of finance and have expanded their business skills through experience as management accountants. AICPA and CIMA, two of the world's most prestigious accounting bodies, established the Chartered Global Management Accountant designation in January 2012 to recognize the most talented and committed management accountants.